Although the Republica of Moldova doesn’t draw too many tourists, there are still a non-trivial number of foreigners who manage to find their way to Chisinau for one reason or another. For this task, you’ll have to head over to the massive Central Market, a teeming open-air bazaar where they sell everything from wedding dresses to live animals. To win this challenge, all you have to do is pick one spot in the outdoor portion and remain there, standing still, for 20 minutes. You don’t have to talk to anyone or buy anything, just stand still in one spot of your choosing for 20 minutes. Oh, there is one catch. During that 20 minutes, you must not be jostled, elbowed, pushed, or shoved by anyone. If you experience physical contact of any kind, the clock restarts at zero. If, somehow, you manage to succeed, take a photo of the spot and email it to me. Chisinau is crawling with police of all kinds, so this challenge should be easy. All you have to do is locate one cop, in uniform, who are being silent. That is to say, they’re neither talking on their mobile phones or having a conversation with someone in person. Somehow, if you manage to succeed, take a photo of cop with his/her mouth closed and email it to me. If the other two challenges seem too hard, then luckily, I’ve got a much easier one for you. All you need to do to win this task is take 20 photographs of ordinary people here in Chisinau. They can be women, men, or children, and anywhere you choose in the city. It just has to be 20 different photos. Oh, but there is one catch. To win this challenge, you need to email me photographs of 20 different fat people under the age of 40. 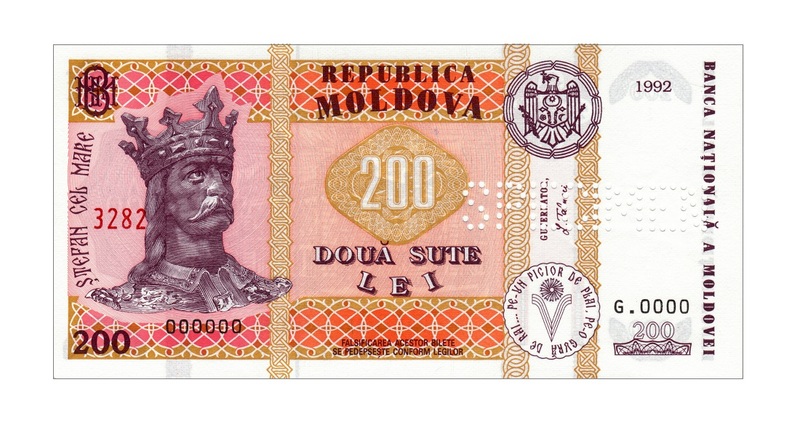 Complete one of the above challenges and I’ll happily fork over a crisp 200 Moldovan lei note. It’s not going to pay off your credit card bills, but you’ll get a really good meal out of it, at least. For the cop one, the photo has to be of a police person on duty, in uniform, not behind the wheel of a car (unless it’s parked), and not inside of a building. For the central market challenge, you need to be in the market proper between Armeneasca, Varlaam, and Tighina Streets. So… think you got what it takes to win the 200 Lei Chisinau Challenge?